The new SC-ISOCON3 Isolating Signal Converter can accept a wide range of inputs including 4-20mA, thermocouple, RTD and voltage signals. The units produce a high level DC output of either voltage or current. 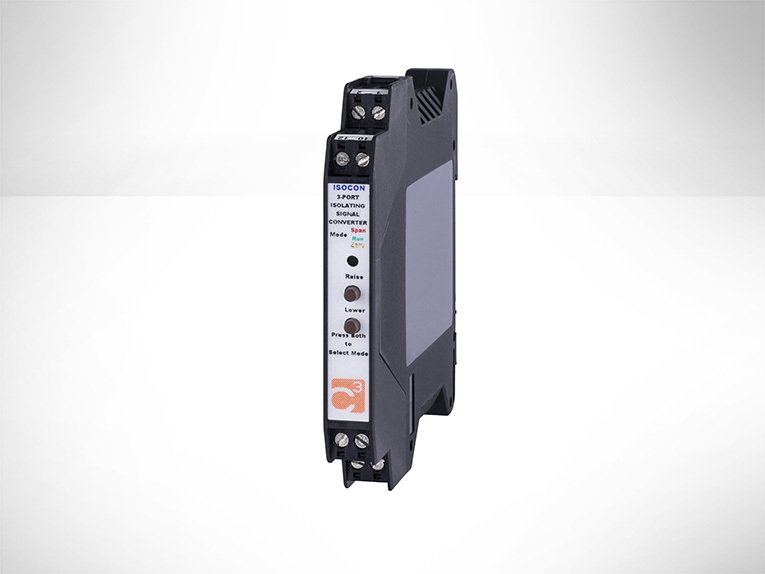 Full 3 port isolation is standard as is an isolated transmitter supply which can be used to power any standard 2-wire 4-20mA transmitter. The input type and range can be user selected using simple DIL switches inside the unit. All RTD and Thermocouple inputs can be fully linearised. Non-interactive zero and span controls make adjustment of the unit quick and simple. Other features include optional inversion of the input signal and optional second analogue output (see SC-DUALCON data sheet). The unit can accept a wide ranging ac power supply from 90 to 264 Vac.